There was a lot that happened this month - from Jason's birthday, to exploring outside the city, to school and other activities. 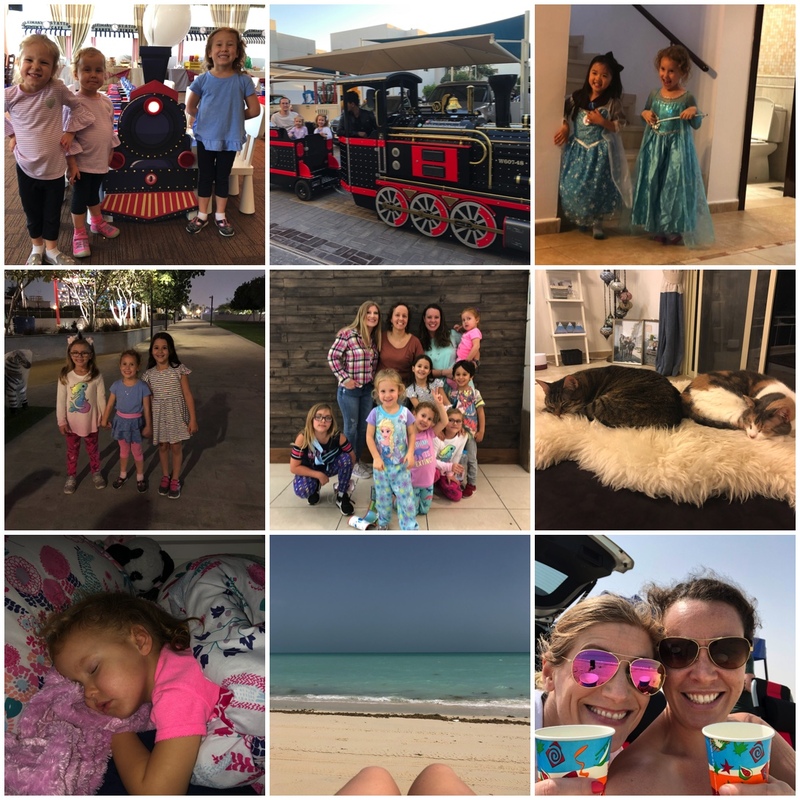 It was a jam-packed month that ended with us heading on holiday after the girls second school term finished and was very memorable. 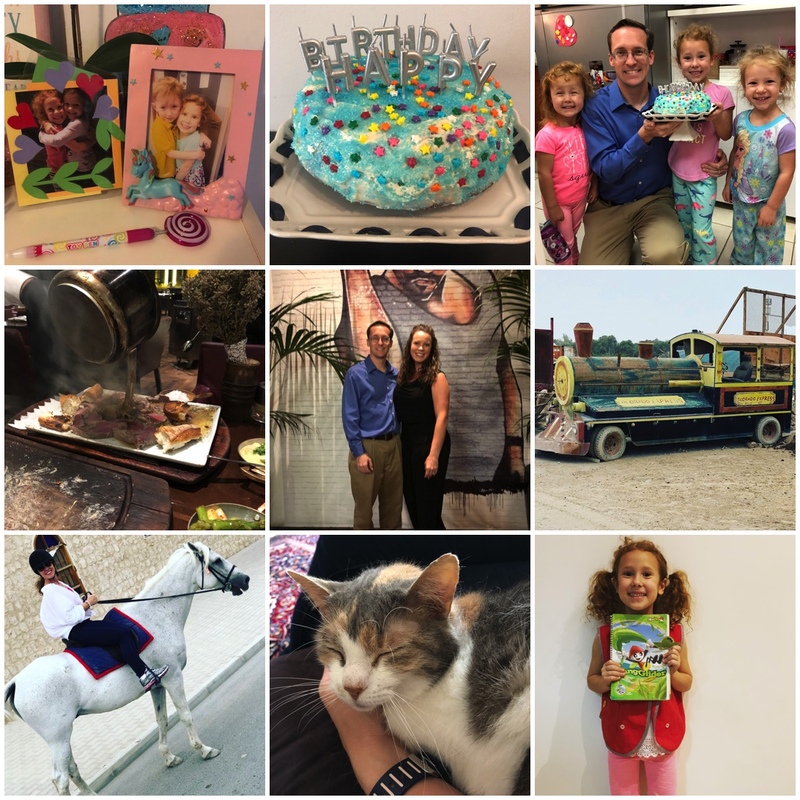 Here's some of the fun stuff that we did this March. 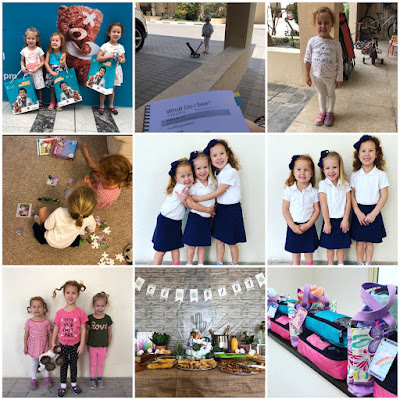 The beginning of the month kicked off with the cutest train-themed birthday party. You know a party is going to be fab when a party planner is the host! There was even a real mall train that came out to the party at the special request of the birthday boy who frequents them at all the malls. How amazing! Fun Elsa playdate with school friends! We got surprised with friends from Baku during their layover in Doha. The girls had fun together at the playground. Here's the whole crew of us after dinner together! Lazy cats, but they are getting along better. We headed out of town to visit Fuwairit Beach and enjoyed hunting for shells. And enjoyed friends and beverages. We took a Saturday with friends and drove out to visit the Singing Sand Dunes. 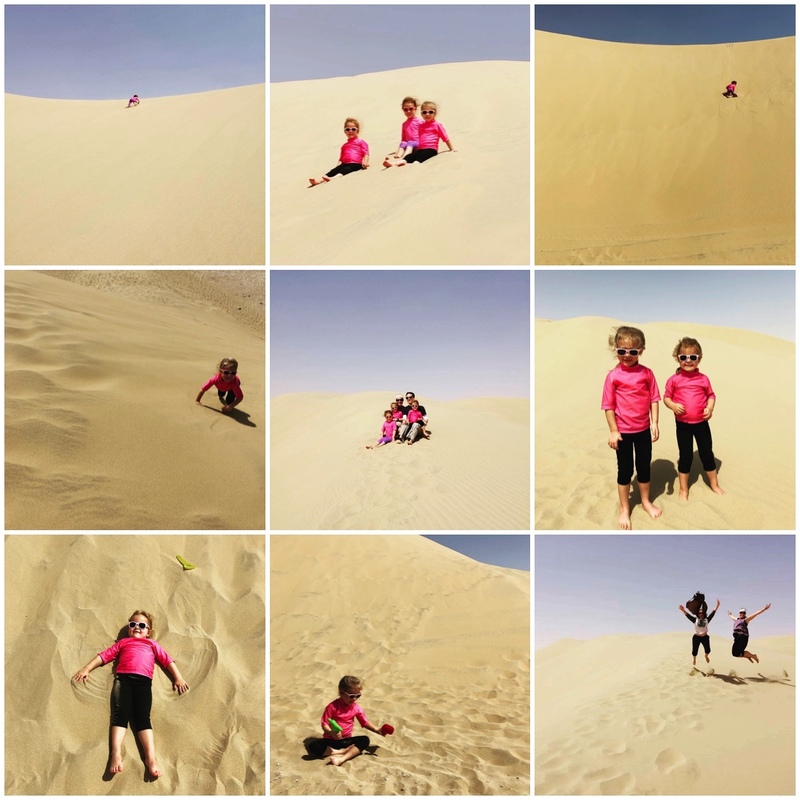 It was a bit windy, but the girls had fun listening to the dunes and playing in the sand. 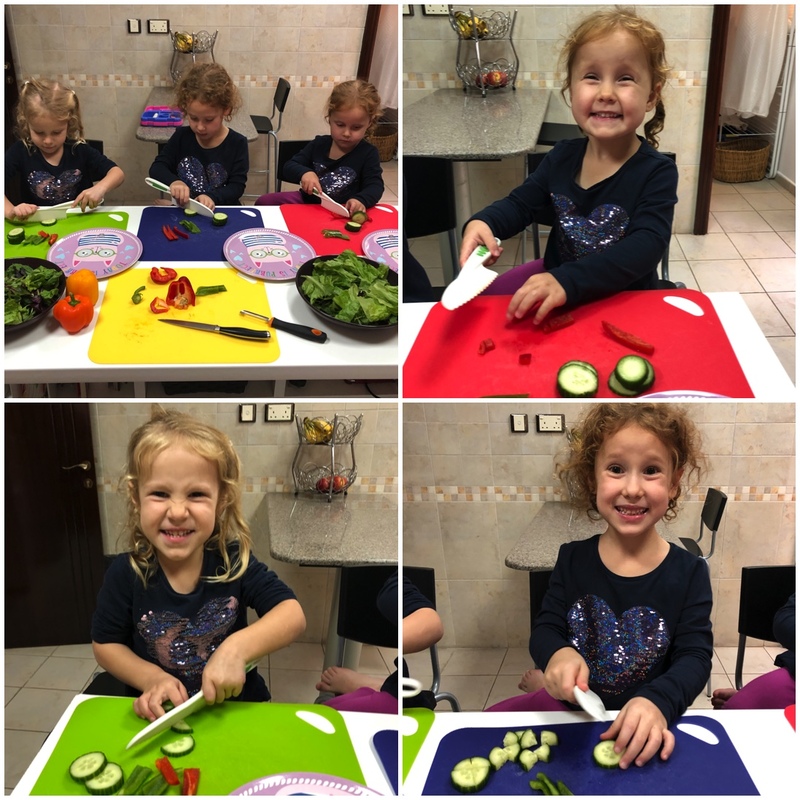 This month the theme at school was healthy food choices (as we've been hearing the girls sing the song all day long and ask us if such-and-such is healthy). 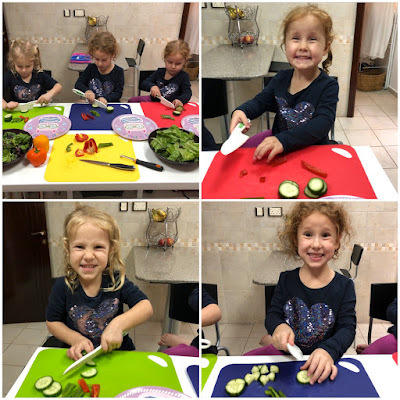 For their sharing we printed pictures of them helping make salads and a poster with their favorite fruits and vegetables. They also brought in vegetables and their kid-safe knives and cut veggies for their class. Brilliant. 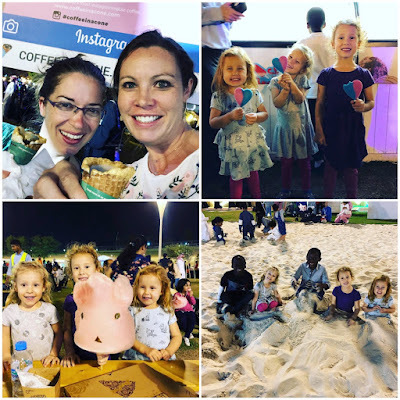 One evening we headed to the Qatar International Food Festival with friends of ours. If you've never had a gold-dusted, white chocolate chai tea in an ice cream cone then you are missing out. Ha! The food was wonderful and the girls loved the cotton candy larger than their face. A sweet picture of Madi's friends in her room. She's had the unicorn frame since we left Baku and her friend in Doha decorated this sweet picture of them and then laminated it for her to keep in her room. We celebrated our favorite guy this month with a birthday cake for breakfast and precious singing (see video below). We got a chance to sneak out for dinner that evening at a fab steakhouse where they cooked our steak in boiling butter (also see video below). Celebrating Jason's birthday at Nusret Steakhouse! I got a chance to go horseback riding with friends and saw this Colorado train on the ride. How crazy is that?? Madi is so amazing! 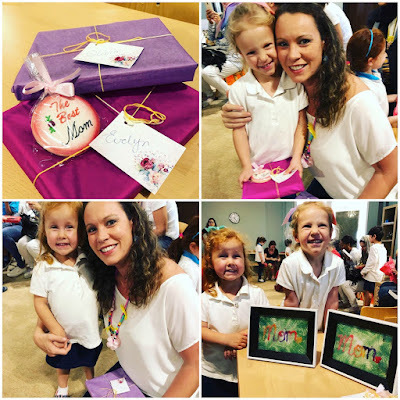 She finished her Awana Sparks I book and then did her entire review in one evening! That means she said over 21 verses at one time. Wow!! The other wonderful thing this month was the Mother's Lunch that the school hosted. The Qatar Mother's Day was in March and we were invited to have a meal with our children and they surprised us with songs and a gift. It was so special to spend some time with them. 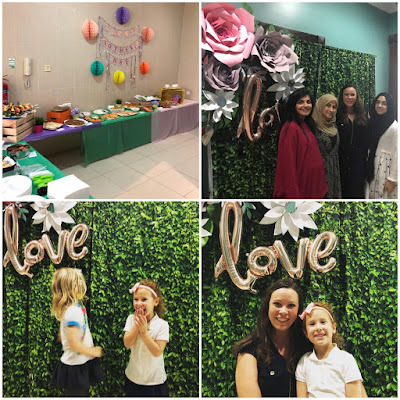 I am the Room Parent for Madi's class and thanks to these sweet and fabulous mothers we had some amazing decorations, a fun photo booth by Once Upon A Party here in Doha, and I would not have been able to do it without their help setting up! We visited the mall for an interactive Teddy Bear Hospital with the girls. We battled some illness this month with the twins meaning that I had company during the day when I worked on my Bible study. And she dressed herself with some questionable fashion choices and shoes. Oh well. The school also had pictures this month and I took the opportunity to snap these shots before they headed to school because who knows if those shirts stayed white or those headbands remain on - ha! The last day of the term the school did crazy hair day and let them go without uniforms. Madi appropriately chose her "crazy hair, don't care" shirt. I was able to attend and make the diaper cake for the sweetest cactus baby shower for a friend. Look at that delicious spread! Prepping for our trip to Jordan with packing cubes, beach bags, and personalized tags thanks to my new laminator.